When you want a beautiful garden or yard outside your University Place home, that ugly-looking stump can get in the way of your plans for a beautiful landscape. 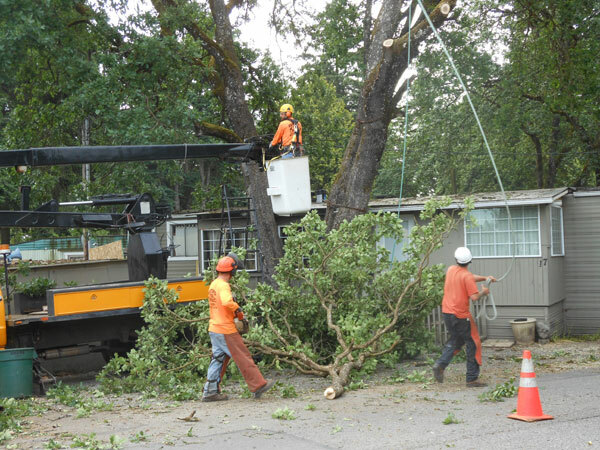 At Hunter Tree Service, we offer you comprehensive stump removal, stump grinding, and tree removal services for all tree problems that you may have. Our company was established in 1986 in Tacoma by Jason and Paula Mahon. Jason Mahon is an ISA Certified Tree Climber specialist while Paula Hunter-Mahon is an ISA Certified Arborist. Together, they provide one of the most reputed stump removal, stump grinding, and tree removal services in the University Place area. Our company realizes the importance of stump removal, stump grinding, and tree removal services for your University Place yard to make your property look visually-pleasing and also prevent any damage from occurring. We have a team of trained and certified arborists and tree climbers who can help remove unwanted stumps from your garden without any hassle. 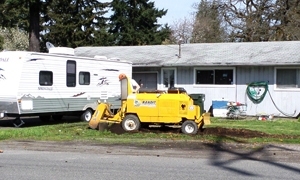 You can get some of the best stump removal, stump grinding, and tree removal services with our company. It is important to choose the right company for stump removal, stump grinding, and tree removal services in University Place. As trees are an essential part of our ecosystem, it is vital that proper care and maintenance is always available. Problem trees should be taken care of with the use of safe and high-quality stump removal, stump grinding, and tree removal services. When it comes to the removal of tree stumps from University Place commercial and residential properties, we are one of the most trusted companies in the area. We use the latest and safest techniques and tools to provide top-quality stump removal, stump grinding, and tree removal services. Our arborists and tree climbers are all fully trained to make sure that every job done is done with efficiency and promptness. We are a fully-licensed company for stump removal, stump grinding, and tree removal services so you get the protection you require in case of any damage on your property. For quality stump removal, stump grinding, and tree removal services, Hunter Tree Service is the name that you can always depend on. We are experts for the University Place to help take care of the trees on your property, whether it is removal or maintenance that you require. 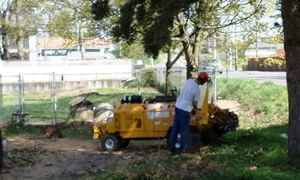 For stump removal, stump grinding, and tree removal services in University Place, we are the company to call. You can get a free estimate and emergency storm response services 24 hours a day. You can call us at any time for a free estimate or more info at 235.777.1938.